Draft: 1995, Pittsburgh Pirates, 3rd rd. Ranks among the franchise's all-time leaders in strikeouts (6th), starts (T6th), wins (T12th), innings pitched (12th) and home runs allowed (1st)...in 3 of his 9 seasons with the Reds received the Johnny Vander Meer Award as the staff's Most Outstanding Pitcher (2006, 2009, 2010) and 4 times won the club's Joe Nuxhall Good Guy Award (2006, 2009, 2011, 2012)...in 2010 won the Rawlings Gold Glove Award for fielding excellence and was a finalist in 2012...in his 9 seasons with the Reds led or tied for the staff lead in starts 7 times, in innings pitched 5 times and in quality starts 4 times...in each of 9 straight seasons from 2005-2013 produced at least 32 starts and 8 times in that span threw at least 200 innings (199ip in 2011)...his streak of at least 30 starts in 9 consecutive seasons from 2005-2013 was matched only by Mark Buerhle and Dan Haren...during his first 8-year stint with the Reds led all Major League pitchers in starts and led all National Leaguers in wins and innings pitched...from 2008-2010 was 1 of only 5 pitchers in the Major Leagues to record at least 15 victories in each of those 3 seasons (Roy Halladay, CC Sabathia, Jon Lester, Tim Lincecum). Was named after actor Charles Bronson...is a 1995 graduate of Hernando High School in Brooksville, Florida, where as a senior was All-State in baseball and All-Area in basketball...an avid musician, he has performed at the Hot Stove, Cool Music show at the Paradise Theater in Boston to help raise money for the Jimmy Fund and the Red Sox Foundation...began playing the guitar while in Class AA...on 7/12/05 released his first CD, Covering the Bases...the record debuted at No. 1 on the charts in Boston, Providence and Springfield and No. 2 in Portland, Maine...on 6/15/06 performed in concert with Raquel Aurilia, wife of teammate Rich, and Cincinnati band Screaming Mimes to raise $35,000 for the Reds Community Fund...performed at Redsfest each year from 2006-2012...in 2007, through his Athletes for the Brave program donated $100 for every strikeout to Homes For Our Troops, an organization that provides homes at no cost to injured or disabled servicemen and servicewomen and their immediate families...his contribution totaled $15,600...also donated to Homes For Our Troops a portion of the proceeds from a concert on 5/27/07...following the devastating earthquake in Haiti in January 2010 donated three pallets of OneSource, a nutritional product, through the For Haiti With Love program. Made his final appearance in an 8-7 loss vs LAD on 6/18...the next day was disabled with a sprained right shoulder...beginning 6/26 spent the rest of the year on the 60-day disabled list...missed the Reds' last 94 games...his scheduled start on 6/24 was taken by Homer Bailey, who made his season debut and finished the year in that spot in the rotation...finished his Reds career ranked among the franchise's all-time leaders in starts (279, T6th), strikeouts (1157, 6th), wins (108, T12th), innings pitched (1761.1, 12th) and home runs allowed (275, 1st)...the Reds went 7-7 in his 14 starts...on 4/8 at StL, made his first appearance for the Reds since 9/28/13 vs Pit...that gap of 3 years, 192 days between apps was the longest for any Reds player since LHP Chris Hammond went 13 years, 184 days between apps for Cin from 9/22/1992 vs Hou to 4/3/2006 vs Cubs...on 4/8 at StL became the first Reds pitcher to start a game at age 40 since 6/8-6/9, 1945, when 46-year-old Hod Lisenbee and 40-year-old Boom-Boom Beck started vs the Cubs at Wrigley Field on consecutive days...in fact, no pitcher age 38 or older had started for the Reds since Joe Nuxhall in his final start for the club in September 1966, when he was 38 years old...his 9-3 win on 4/18 vs Bal was the first by a Reds starting pitcher at age 40 since 40-year-old Boom-Boom Beck beat the Phillies, 8-1, on 5/31/1945...was honored by the Reds prior to the game on 9/23 vs the Red Sox, for whom he helped win the World Series in 2004...after the game, performed in a post-game concert on the field. During spring training was signed by the Nationals to a minor league contract...spent the entire season on the minor league DL, with the exception of 2 rehab starts for the GCL Nationals on 6/26 (4.2ip, 10h, 5er, 0bb, 5k) and 7/2 (5ip, 3h, 0r, 2bb, 3k)...was released following the season and right before spring training was signed by the Reds to a minor league contract with an invitation to 2017 Major League spring training camp. Didn't pitch while recovering from 2014 surgeries on his right elbow (7/15) and right shoulder (8/29) but still was traded twice, from the Diamondbacks to the Braves on 6/20 and from the Braves to the Dodgers on 7/30 as part of a 13-player, 3-team deal that also included the Marlins...in November became a free agent after the Dodgers declined his 2016 contract option. Made 14 starts in his first season with D-backs before suffering a torn ulnar collateral ligament in his right elbow… was 7-4 with a 4.08 ERA (39 ER in 86.0 IP)...Had Tommy John surgery at Piper Surgery Center in Scottsdale on July 18 (performed by Dr. Sheridan and Dr. Lee)...Was 3-0 with a 2.95 ERA (6 ER in 18.1 IP) in his final three starts before going on the disabled list on June 16, and 6-2 with a 2.63 ERA (18 ER in 61.2 IP) over his final 9...Tossed his 16th complete game on May 13 vs. Nationals (1 ER in 9.0 IP)…also recorded his 1,500th strikeout (Denard Span) and eighth career multi-hit game (second off Stephen Strasburg). Went 14-12 with a 3.79 ERA (85 ER in 202.0 IP) and 2 complete games in 32 starts with Cincinnati... Made at least 30 starts for the ninth straight season, tied with Dan Haren for the second-longest active streak in baseball…trails only Mark Buehrle (13 years)... Tossed at least 200.0 innings for the seventh time in the last 8 seasons... Ranked among NL leaders in fewest walks per 9.0 IP (3rd, 1.51), complete games (T-5th), starts (T-9th) and wins (T-10th)…also led the NL with 32 homers allowed... Led the NL with 16 sacrifice bunts... Retired the first 15 batters faced on April 9 @ Cardinals, the longest "perfect" start of his career... Issued just 1 walk in 7 starts from Aug. 9-Sept. 9, including a career-high 29.2-inning stretch without a walk (ended on Aug. 30 @ Rockies)…streak tied the Cardinals' Edward Mujica for the third-longest in the Majors and marked the longest by a Red since Danny Graves in 2003 (32.0 IP)... Became the fi rst Reds pitcher since 1900 to record 6 strikeouts and no walks in 4 straight starts (Aug. 9-24)... Tied a club record with 3 sacrifi ce bunts on Sept. 4 vs. Cardinals (eighth time)... Was the Reds' nominee for the Marvin Miller Man of the Year and Roberto Clemente Award. Threw at least 200 innings for the seventh time in his career and made at least 32 starts for the eighth straight season ... was a finalist for the Rawlings Gold Glove Award ... for the fourth time won the Joe Nuxhall Good Guy Award ... was part of a staff in which 5 pitchers started 161 of the club's 162g (Homer Bailey, Johnny Cueto, Mat Latos, Mike Leake)...the Reds became only the eighth team in Major League history to produce 5 pitchers with at least 30 starts each (1977 Dodgers, 1980 A's, 1993 Dodgers, 2003 Mariners, 2005 Cardinals, 2005 Indians, 2006 White Sox) ... the Reds used 6 or fewer starting pitchers in a season for only the fourth time since 1900 (1900, 1942, 1951, 2012) and were the only team in the Major Leagues in 2012 to use as few as 6 starting pitchers ... produced 19 quality starts, including 7 of his last 10 apps ... in his 32 starts the Reds went 18-14 and scored 114 runs (3.56 r/g) ... started 2 of the Reds' 4 shutout losses ... on 6/26 vs Mil took a no-hitter into the eighth inning before Taylor Greene doubled with 1 out ... on 8/22 at Phi had a perfect game until Domonic Brown homered with 2 outs in the fifth ... threw his only complete game of the season in a 6-0 win at SD on 7/6 (3h, 1bb, 8k)...in Game 2 of the Division Series at SF allowed just 1 hit in 7.0 innings to earn the 9-0 victory (1bb, 4k, 91 pitches, 57 strikes) ... didn't allow a baserunner until Brandon Belt singled with 2 outs in the fifth inning ... allowed just 1 other baserunner, a walk to Buster Posey with 2 outs in the seventh inning ... was his first career Postseason victory ... combined with J.J. Hoover (1ip) and Jose Arredondo (1ip, 1h) on the Reds' first Postseason shutout since a 7-0 win vs Oak in Game 1 of the 1990 World Series and their first Postseason 2-hitter since the deciding Game 4 of the 1990 World Series. For the third time in his 6 seasons with the Reds was voted the Joe Nuxhall Good Guy Awardby the local chapter of the Baseball Writers' Association of America...led the Reds in starts for the sixth straightseason and in innings pitched for the fifth time in 6 years...for the seventh straight season made at least 32starts...with 199.0 innings pitched fell 1.0 shy of his seventh consecutive 200-inning season...needed 18.0innings over his final 2 starts to reach 200.0, then threw a complete game in the 2-0 win on 9/21 vs Hou andwas lifted for a pinch hitter in the ninth inning of the 13-inning, 5-4 win on 9/27 at NYM...led the NationalLeague with a club-record 46 home runs allowed (LHP Eric Milton, 40 hr,2005), 119 runs and 112 earned runs...ranked third with 227 hits allowedand T7th in fewest walks per 9 innings (2.0)...of his 119 runs allowed, 65came via home run (55%)...allowed 30 solo HR, 13 2-run HR and three3-run HR...became only the second pitcher in Major League history toallow at least 40 homers while issuing fewer than 50 walks...Hall of FamerRobin Roberts did it in 1956 (46hr, 40bb) and 1957 (40hr, 43bb)...was thevictim of a blown save 3 times...made 15 quality starts...in his 32 startsthe Reds went 15-17 and scored 130 runs (4.06 r/g)...in 9 starts betweenwins on 6/25 at Bal and 8/24 at Fla went 0-4, 5.75 and twice was thevictim of blown saves...that 2-0 win on 9/21 vs Hou was the 200th startof his career for the Reds and his only complete game of the season(6h, 0bb, 2k, 91 pitches)...allowed 4 singles and 2 doubles...at 2 hours,12 minutes was the Reds' shortest game of the year. Was the unanimous winner of the local BBWAA chapter's Johnny Vander Meer Award as theclub's Most Outstanding Pitcher...won it for the second straight season and for the third time in his 5 seasonswith the Reds...won his first career Rawlings Gold Glove Award for fielding excellence...his 17 wins were acareer high...3 times was victimized by blown saves...led the Reds in starts (33) for the fifth straight season, ininnings pitched (215.2) for the fourth time in 5 years and in quality starts (21) for the second straight season...ranked among the National League pitching leaders in wins (T4th) and innings pitched (215.2, 9th)...recordedat least 32 starts and 200 innings pitched for the sixth straight year...for the third straight season producedat least 15 wins (15, 15, career-high 17)...is the first Reds pitcher to win at least 15 decisions in 3 straightseasons since Tom Browning did it from 1988-90 (18, 15, 15) and the first Reds righthander to do it sinceJack Billingham from 1973-75 (19, 19, 15)...18 times threw at least 7.0innings...in his 33 starts the Reds went 20-13 and scored 156 runs (4.73r/g)...his 17-inning scoreless streak from 7/31-8/11 was the longest by aReds starter this season and tied his career high...in 6 starts from 4/29-5/26 put together a season-high 5-game winning streak (5-0, 2.66)...threwhis complete games in a 7-2 win on 5/16 vs StL (7h) and a 3-2 loss atMil on 7/26 (8ip, 3h)...on 4/8 vs StL recorded his 1,000th career strikeout(Albert Pujols)...on 6/17 vs LAD hit his fifth career HR, a 3-run shot offJohn Ely that gave the Reds a 3-1 lead in their 7-1 win...the 5-2 win on8/22 at LAD was the 100th of his career and his 67th as a Red...in the 7-1win on 6/17 vs LAD earned the win, homered and participated in three3-6-1 double plays...became the first Major League pitcher to produce those stats since 5/30/55, when Don Newcombe went 3-for-4 with 2home runs and participated in 3 double plays in Brooklyn's 8-3 win vsthe Pirates...started Game 2 of the National League Division Seriesat Phi and was the victim of a blown save in the 7-4 loss...took a 4-0lead into the fifth inning but allowed 2 unearned runs following a pairof Reds errors...the Phillies took the lead in the seventh inning with 3unearned runs off Aroldis Chapman...overall the Reds committed 4errors, tying an LDS record, that led to 5 unearned runs. For the second time in four seasons was voted by the Cincinnati chapter of the Baseball Writers' Association of America winner of both the Johnny Vander Meer Award as the club's Most OutstandingPitcher and the Joe Nuxhall Good Guy Award...led the Reds' pitching staff in wins (15), starts (33), complete games (3), shutouts (2) and inningspitched (220.1 IP)...led the Reds in starts for the fourth straight season, in complete games for the second straight year and in innings pitched for the third time in four years...ranked among the National League leaders in shutouts (T1st), HR allowed (31, 2nd), innings pitched (4th), wins (T4th), losses (13, T4th) and hits allowed (214, 10th)...with 15 wins tied his career-high (2008)...in each of his last 12 starts of the season threw at least 7.0 innings without allowing more than 3 earned runs (5-3, 1.91)...was the longest such streak by a Reds pitcher in the modern era and the longestby any pitcher in the Major Leagues since Curt Schilling did it in 12 straight starts from 6/25-8/21, 2002...in the last 20 years, the only other pitchers to produce such a streak of at least 12 straight starts are Greg Maddux (12,1992) and Randy Johnson (14, 1999)...also led the staff with 23 quality starts...beginning 7/28 finished the season with 13 consecutive qualitystarts (5-4, 2.06), the longest streak by a Reds pitcher since Jose Rijo had 15 straight quality apps from 7/6-9/15, 1993...produced 15 quality starts in his last 16 apps...pitched into the seventh inning in each of his last 13 starts...beginning 7/10 posted a 2.07era in his last 16 starts of the season, the best ERA in the Major Leagues in that span...in his 33 starts the Reds went 16-17 and scored 123 runs (3.73 R/G)...finished the season 3 strikeouts shy of 1,000...went 9-8, 5.38 in 18 starts before the All-Star break and 6-5, 2.24 in 15 starts after the break...allowed at least 1 run in the first inning of 12 of his 33 starts...posted a 6.27 ERA in the first inning and a 3.41 ERA after the first frame...from 8/8-8/19 put together a 17.0-inning scoreless streak, the longest by a Reds pitcher in 2009 and tying his career high...began a season 3-0 for the third time in his career but for the first time won his first 3 starts of a season...was the first Reds pitcher to begin the season in the rotation and win his first 3 starts since LHP Pete Schourek did it in 1996 and the first righthander since Jack Armstrong won his first 5 starts of 1990...as a batter ranked T4th in the NL with a team-high 14 sac bunts...during spring training was bothered by carpal tunnel syndrome. Was the only member of the Reds' rotation to make everyscheduled start...for the third straight season led the staff in starts (34) andfor the second time in 3 years led the club in innings pitched (200.0)...forthe fourth straight season recorded at least 32 starts and 200 innings...his 18 quality starts and career-high 15 wins were second on the staff toAll-Star Edinson Volquez' 17 victories and 20 quality apps...3 times wasthe victim of blown saves...ranked among the National League leaders instarts (34, T1st), hits allowed (219, 3rd), HR allowed (29, T6th), earnedruns allowed (106, 2nd) and runs allowed (116, 1st)...in his 34 starts theReds went 18-16 and scored 172 runs (5.06 r/g)...was 1 of only 5 Redspitchers to participate in more winning games than losing games (JaredBurton, Francisco Cordero, Edinson Volquez, David Weathers)...in 2 startson 3 days' rest went 1-0, 0.69 (5/14 vs Fla, 5/28 vs Pit)...for the periodending 8/31 was voted National League Co-Player of the Week along with Wsh's Cristian Guzman...was hisfirst career weekly award...in 2 starts that week went 2-0, 1.69 with a complete game in the 2-1 win on 8/26at Hou...was the Reds' first CG of the season in the 132nd game...in the 14-1 loss on 6/24 at Tor made theshortest start of his career (1+ip, 11h, 10er) and became only the sixth starting pitcher in Major League historyto allow at least 10 earned runs in a game in which he retired 3 batters or fewer...in his 17 starts after thatappearance went 11-4, 3.42...in his last 8 starts of the season went 5-1, 2.88, including 0-1, 7.62 in his last 2apps to raise his ERA from 4.57 to season-ending 4.77...didn't win until his sixth start...started a season 0-3for the second time in his career (2000)...from 6/29-7/23 became the first Reds pitcher to win 5 straight starts(5-0, 3.09) since Steve Parris won 7 straight from 8/13-9/9, 2000...from 5/10-5/19 put together a 14.0-inningscoreless streak, the longest by a Reds starter all season...as a batter from 7/23-8/4 produced a 3-gamehitting streak (4-7, .571, 2 2b, 3rbi), the longest by a Reds pitcher in 2008...also had the pitching staff's only2-hit games (6/12 vs StL, 7/23 vs SD) and its only stolen base (8/31 vs SF)...in the 18-inning loss at SD on5/25 singled off Josh Banks to become the first Reds pitcher to record a pinch hit since Eric Milton singledoff Geoff Geary on 8/11/06 at Phi...was his only pinch-hit appearance...was used as a pinch runner 3 times. Led the club in quality starts (22) and losses(15)...for the second straight season tied Aaron Harang for thestaff lead in starts (34)...also tied Harang for the team lead inHR allowed (28)...ranked second to Harang in wins (9), inningspitched (210.2) and strikeouts (156)...5 times was the victimof blown saves, most on the staff...ranked among the NationalLeague pitching leaders in losses (6th), starts (T2nd), inningspitched (8th), hits allowed (232, 6th), HR allowed (T8th) andhit batters (13, T5th)...in his 34 starts the Reds went 12-22and scored 135 runs (3.9 r/g)...Reds batters scored 2 runs orfewer in 15 of his 34 starts and a team-high 4 times were shutout, including each of his last 2 starts...in his last 9 starts of theseason went 4-2, 3.16 and produced quality starts in 6 of his last7 apps...twice produced a staff-best 5 consecutive quality starts(4/9-5/1, 6/24-7/17)...in 9 starts from 5/11-6/24 went 0-7, 7.28...the 7-game losing streak was a career high and the longest by aReds pitcher since Danny Graves went 0-8 from 7/5-9/2, 2003...went 1-6, 5.36 in 7 day starts and 8-9, 3.93 in 27 starts under thelights...on 5/1 at Hou, in his sixth start earned his first victory ofthe season (11-2 win)...on 5/16 at SD, in the 3-2 loss threw hisonly complete game of the season but walked in the winning runin the bottom of the ninth inning...threw 129 pitches, the mostby a Reds pitcher in 2007...in his next start, on 5/21 vs Wsh,threw just 2.0 innings and received no decision in the 8-7 victory(2ip, 6h, 6er, 3bb, 2k, Kearns 2-run HR, 62 pitches)...in the 9-5loss on 5/26 vs Pit did not record a strikeout for the only time allseason...made a start without striking out a batter for the onlytime since 9/12/05 at Tor...on 7/5 vs SF, snapped his career-high7-game losing streak with a 6-3 victory and in the second inninggave the Reds a 2-0 lead with his third career homer, a solo shotoff Matt Morris...on 7/12 at NYM, in the first game of the second half suffered the 3-2 loss...allowed homers to the first2 batters he faced (Jose Reyes, Ruben Gotay)...forthe first time in their history the Mets' first 2 battersof a game homered...on 8/1 at Wsh, in the shorteststart of his career suffered the 7-2 loss (1.2ip, 7h, 7er,2bb, 1k, Kearns 2-run HR, 58 pitches)...followed thatappearance by throwing 6.2 shutout innings in a 4-0win vs LAD on 8/7...on 9/22 at SF, threw 7.0 shutoutinnings but received no decision in the 2-0 loss (5h,5bb, 2k, 110 pitches)...tied his career high by issuing5 walks but stranded 9 baserunners. Was an All-Star for the first time in his career andthe Reds' lone player representative in Pittsburgh...was votedby the Cincinnati chapter of the Baseball Writers' Association ofAmerica the winner of both the Johnny Vander Meer Award asthe club's Most Outstanding Pitcher and the Joe Nuxhall GoodGuy Award...led the Major Leagues in innings pitched (240.2)and ranked among the NL pitching leaders in starts (35, T1st),wins (14, T12th), ERA (3.29, 4th), complete games (3, T5th),strikeouts (184, T6th), opponents' BA (.243, 8th), ERA at home(2.60, 2nd) and ERA at night (2.52, 2nd)...became the firstReds pitcher to lead the league in innings pitched outright sinceBucky Walters did it in 3 straight seasons from 1939-41...ledthe staff in innings pitched and quality starts (23) and tied AaronHarang for the team lead in overall starts...tied his career highin victories and established new career bests in starts, inningspitched, strikeouts and quality starts...in his 35 starts the Redswent 21-14 and scored 158 runs (4.51 r/g)...went 9-5, 2.52 with3 complete games and 1 shutout in 19 starts at night and 5-6,4.29 in 16 starts in the day...in his first 15 starts through 6/19went 9-3, 2.47 with 2cg...in his next 13 starts from 6/24-8/26 went1-6, 4.84...in his last 7 starts beginning 9/1 went 4-2, 2.45 with1sho...from 9/1-9/15 went 4-0, 1.13 and became the first Redspitcher to win 4 consecutive starts since Paul Wilson did it from5/8-5/25, 2004...since 1900 is the only pitcher in Major Leaguehistory to win at least 9 of his first 15 starts and then fail to winany of his next 10 starts...won his ninth decision on 6/19 andin 15 starts through that date was 9-3, 2.47 with 2cg...didn't win again until 8/16 at StL...in 10 tries betweenhis ninth and 10th victories went 0-5, 5.29 and 3 times was the victim of blown saves...the 5-game losingstreak was 1 shy of his career high and was the longest by a Reds pitcher all season...became the second Reds pitcher in the last 3 seasons to make 10 startsbetween his ninth and 10th wins (Wilson, 2004)...was the first Reds pitcher to begin a season 5-0 sinceWilson won his first 7 decisions in 2004...was the onlyReds pitcher to throw at least 8.0 innings in 3 straightstarts, and he did it twice (4/21-5/1, 9/5-9/15)...4 timeswas the victim of blown saves, tied with Eric Miltonfor the team lead...in 2 starts on short rest went 1-0,3.07 with 1sho: in a 3-0 win on 9/5/06 vs SF threw a3-hitter for his fourth career complete game and firstcareer shutout (2bb, 7k, 31bf) and on 8/5/06 vs Atlwas the victim of a blown save in the 8-6 victory (5.2ip,8h, 5er, 2bb, 3k, 2hr)...from 4/21-5/1 threw a staffhigh16.0 consecutive scoreless innings...on 5/22 vsMil, in the 100th start of his career earned the 15-5victory (7ip, 6h, 1er, 0bb, 6k)...on 6/3 at Hou snapped an 0-for-27 skid with 3 hits and 4rbi, both career highsas a batter...became the first Reds pitcher with 3 hits in a game since Jimmy Haynes on 7/1/02 vs Hou andthe first Reds pitcher with 4rbi in a game since Jose Rijo on 9/4/93 vs Phi...in the NL's 3-2 loss in the All-StarGame threw a scoreless fifth inning and allowed only a single to Vernon Wells...Arroyo, local band ScreamingMimes and Raquel Aurilia, wife of IF Rich Aurilia, on 6/15 performed a benefit concert at the Madison Theaterin Covington that raised $35,000 for the Reds Community Fund and its baseball-themed outreach programs...also performed at Kahn's Redsfest 2006, presented by Great American Insurance Group. Led the Red Sox with 20 quality starts...established career highs with 14 wins, 32 starts and 205.1innings pitched...threw at least 6.0 innings in 25 of his 32 starts...15 times threw at least 7.0 innings...the Sox went 17-15 in his 32 starts...prior to a loss on 5/25 at Tor had won 9 consecutive decisions, the longest streak by a Red Soxpitcher since Pedro Martinez won 9 in a row from 6/20-8/10, 2002...during that 17-start stretch went 9-0, 3.48...in a2-1 win at Det on 5/5 took a no-hitter and a 1-0 lead into the seventh inning, then allowed a 1-out solo homer toCarlos Guillen...in his next start, on 5/10 vs Oak, allowed just 1 hit through the first 6.0 innings...from 4/24-5/5 won 3straight starts for the first time in his career...from 5/17-5/24 served a 6-game suspension after he was ejected byhome plate umpire Ted Barrett on 4/24 at TB for hitting Aubrey Huff with a pitch...dropped his appeal following his5/16 start at Oak...on 5/25 at Tor made his 100th career appearance...on 7/3 vs Tor threw 123 pitches, the most bya Sox pitcher all season...pitched in Game 1 of the American League Division Series vs WSox at U.S. Cellular Field. In his first full Major League season established career highs in wins, appearances, starts, innings pitched andstrikeouts...in his last 9 starts of the season, all Red Sox victories, he finished 5-0, 3.78...opponents hit just .249, ninthlowestin the American League...averaged 2.4 walks per 9 innings, 10th-best in the AL...ranked 12th in the league witha 4.03era...in 17 apps on the road posted a 3.06era, fifth-best in the AL...Bos went 17-12 in his 29 starts...made 16quality starts...allowed 3 runs or fewer in 16 of his last 21 starts...led the majors with 20 hit batsmen, tying the RedSox record set by Howard Ehmke in 1923...on 7/19 at Sea recorded a career-high 12 strikeouts...in that game struckout the side in the fourth, fifth and sixth innings and during one stretch recorded 11 consecutive outs by strikeout...becamethe first major leaguer to record at least 11 straight outs by strikeout since Ari's Randy Johnson produced 13 straightpunchouts on 7/4/01 at Hou...in 5 starts vs National League teams went 0-4 despite a sterling 3.07era...threw at least6.0 innings in 20 of his 29 starts, including at least 7.0 innings in 9 starts...allowed 19 unearned runs, tied with TimWakefield and KC's Brian Anderson for third-most in the majors...on 6/20 at SF threw a staff-high 124 pitches...in thepost-season made 2 starts and 4 relief apps...was the starting pitcher in Game 3 of the American League DivisionSeries vs the Angels...Bos won that game, 8-6 in 10 innings, on David Ortiz' walkoff homer. In his first season with the Red Sox was named their Minor League Player of the Year...also was namedInternational League Pitcher of the Year...was promoted on 8/22 and posted a 2.08era in 6 relief apps for theSox...American League opponents hit just .164...in his Red Sox debut on 8/25 vs Sea earned his first career save bypitching 3.0 scoreless innings in relief of Pedro Martinez...on 9/24 vs Bal retired all 12 batters faced...was on Bos'Division Series and League Championship Series rosters...while at Class AAA Pawtucket ranked second in the IL and13th among all minor league pitchers with 155 strikeouts...also ranked among the International League leaders with12 wins (T2nd) and a 3.43era (T9th)...was both a midseasonand post-season IL All-Star...in the Triple-A All-Star Game on 7/15 threw 1.0 inning and allowed a pairof unearned runs...on 8/10 vs Buffalo threw the fourth9-inning perfect game in the 120-year history of theInternational League (9k, 10 flyouts, 8 groundouts, 101pitches, 73 strikes)...was the second perfect game by aPawtucket pitcher (Tomo Ohka, 6/1/00 vs Charlotte). Was the Opening Day starter at Class AAANashville...made 4 starts and 5 relief apps for thePirates...was Pacific Coast League Pitcher of the Week for8/5-8/11 after going 2-0, 0.50 with a pair of CG, a 4-hitshutout on 8/6 at Salt Lake and a 3-hitter on 8/11 atMemphis...on 8/15 joined Pit for the rest of the season. Was on the Pirates' Opening Day roster for the first time in his career and went on to make 24 appearances (13 starts) in the big leagues, while also going 6-2 with a 3.93 ERA in 9 starts for Triple-A Nashville...won his first 2001 start April 7 at Houston and beat the Astros with 2.0 innings of perfect relief 11 days later at PNC Park...lost 3 straight starts April 28-May 9 and was returned to the bullpen for 3 outings...snapped his 3-game slide with a 6-3 victory May 27 at Atlanta...was optioned to Nashville June 23...won his first 2 starts for the Sounds, including a complete-game 4-hitter June 26 at Las Vegas...fanned a season-high 11 in a one-hit shutout July 22 vs. Portland...was recalled by the Pirates to start game one of a day-night doubleheader July 28 vs. Houston, and returned to Nashville after the game...won 3 in a row for the Sounds July 12-August 3, posting a 3.34 ERA...was again recalled by the Bucs August 13 and posted a 3.00 ERA (3 ER/9.0 IP) in 4 appearances out of the pen before being optioned back to Triple-A August 28...beat Memphis in his final Triple-A appearance before again being recalled September 4...made 4 starts in September, going 2-1 with a 2.74 ERA...threw his first career complete game in a 10-1 win October 2 at New York...was an out away from a shutout before he surrendered a solo homer to Jay Payton...overall with Nashville, threw at least 6.0 innings in all 9 of his Triple-A starts and finished at least 7.0 innings 6 times...won all 5 road starts he made for the Sounds. In his Major League debut had 12 starts and 8 relief apps...led Class AAA Nashville with 8 wins in only 13 starts...on6/12 vs Atl made his Major League debut as a pinch hitter and grounded out...made his first career start on 6/13 vsAtl (ND, 5ip, 10h, 5er)...earned his first big league victory on 7/22 vs the Phillies...on 7/28 vs SD collected his first careerhit, a double to center field off Matt Clement. Spent the bulk of the season at Double-A Altoona, where he led the Eastern League with 15 wins and ranked 9th with a 3.65 ERA in 25 starts...including 3 starts at Triple-A Nashville, combined to go 15-6 with a 4.17 ERA in 28 starts...began the season winning 3 straight and 8 of 9 through June 8 for Altoona...scattered 11 hits in 2-0 win June 8 vs. Bowie...lost 3 of his next 4 decisions June 4-July 11 before he bounced back with 7.0 scoreless innings and a season-high 10 K's July 19 vs. Erie...10 days later, hurled his 2nd complete game vs. Akron...went 6-0 with a 1.11 ERA (6 ER/48.2 IP) in last 7 Altoona starts...was promoted to Nashville August 20 and made the first of 3 Triple-A starts August 24 at Oklahoma...picked up a pair of losses and a no-decision for the Sounds. Led Double-A Carolina with 9 wins in 23 games (22 starts)...fanned a season-high 10 April 16 vs. Knoxville...missed 2 weeks after spraining his right ankle June 18...had made 64 consecutive starts since August 1, 1995 before working 2.2 innings of relief July 4 at Knoxville...won 4 straight starts July 16-August 1 before dropping 4 of his last 5 decisions...finished 6-1 in 11 starts at home...made 9 starts for Maryvale of the Arizona Fall League, finishing 2-4 with a 6.51 ERA. Tied for the Carolina League with 12 wins at Single-A Lynchburg, finishing 12-4 with a 3.31 ERA in 24 starts...ranked 6th in the league in ERA, helping the Hillcats to the CL title...fired 3 complete games, 2nd in the league, including a shutout...allowed 10.67 runners per 9 innings, 5th among league starters...his 1.85 walks per 9 innings were 4th among CL starters...tied for the organization lead in wins en route to being named to the CL mid-season All-Star team...opened the year 2-1 with a 0.95 ERA (2 ER/19.0 IP) in 3 starts before missing 2 turns due to a muscle strain in his back...tossed a 2-hit shutout June 1 at Frederick...went 6-0 with a 2.21 ERA (13 ER/53.0 IP) in 7 starts July 7-August 9...struck out a season-high 12 in his 3rd complete game August 4 at Durham...won his last 7 decisions and allowed 3 earned runs or less in 10 of his last 11 starts...won both of his playoff starts, posting a 0.52 ERA. Made a career-high 26 starts at Single-A Augusta...opened the year by winning 4 of his first 5 decisions, posting a 1.96 ERA (12 ER/55.0 IP) in his first 9 starts...allowed just one hit in 6.0 innings in his 1996 debut April 5 vs. Macon...did not allow an earned run in back-to-back starts April 21 and April 26...won 3 consecutive starts with a 1.42 ERA (3 ER/19.0 IP) June 13-25...lost 4 of his last 5 decisions. Made 13 appearances (9 starts) for the Rookie-level Gulf Coast League Pirates in his pro debut...posted a 5.3-1 strikeout-to-walk ratio, fanning 48 and walking only 9 in 61.1 innings...began the season in the bullpen, earning his first pro save June 27 vs. Kansas City...won 4 of 5 decisions July 19-August 10...fanned a season-high 10 August 1 vs. the Rangers...registered a 2.74 ERA (7 ER/23.0 IP) in last 4 starts...overall, went 4-4 with a 4.41 ERA in 9 starts and 1-0 with a 3.65 ERA in 4 relief appearances. November 2, 2017 RHP Bronson Arroyo elected free agency. June 26, 2017 Cincinnati Reds transferred RHP Bronson Arroyo from the 10-day disabled list to the 60-day disabled list. Strained right shoulder. June 19, 2017 Cincinnati Reds placed RHP Bronson Arroyo on the 10-day disabled list. Strained right shoulder. April 8, 2017 Cincinnati Reds selected the contract of RHP Bronson Arroyo from Louisville Bats. April 2, 2017 RHP Bronson Arroyo assigned to Louisville Bats. February 14, 2017 Cincinnati Reds signed free agent RHP Bronson Arroyo to a minor league contract and invited him to spring training. October 13, 2016 Syracuse Chiefs released RHP Bronson Arroyo. September 9, 2016 Syracuse Chiefs activated RHP Bronson Arroyo from the 7-day disabled list. June 26, 2016 Syracuse Chiefs sent RHP Bronson Arroyo on a rehab assignment to GCL Nationals. April 5, 2016 Syracuse Chiefs placed RHP Bronson Arroyo on the 7-day disabled list. February 4, 2016 RHP Bronson Arroyo assigned to Syracuse Chiefs. January 27, 2016 Washington Nationals signed free agent RHP Bronson Arroyo to a minor league contract and invited him to spring training. November 7, 2015 RHP Bronson Arroyo elected free agency. November 6, 2015 Los Angeles Dodgers activated RHP Bronson Arroyo from the 60-day disabled list. July 30, 2015 Atlanta Braves traded LHP Alex Wood, RHP Jim Johnson, LHP Luis Avilan, 2B Jose Peraza, RHP Bronson Arroyo and cash to Los Angeles Dodgers for 2B Hector Olivera, LHP Paco Rodriguez and RHP Zack Bird. June 20, 2015 Arizona Diamondbacks traded RHP Bronson Arroyo and RHP Touki Toussaint to Atlanta Braves for 3B Phil Gosselin. October 30, 2014 Arizona Diamondbacks activated RHP Bronson Arroyo from the 60-day disabled list. 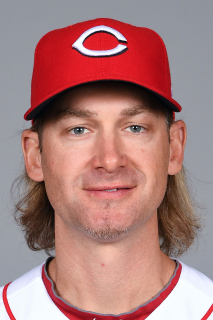 February 12, 2014 Arizona Diamondbacks signed free agent RHP Bronson Arroyo. October 2, 2013 Cincinnati Reds activated RHP Bronson Arroyo. October 1, 2013 Cincinnati Reds reassigned RHP Bronson Arroyo to the minor leagues.